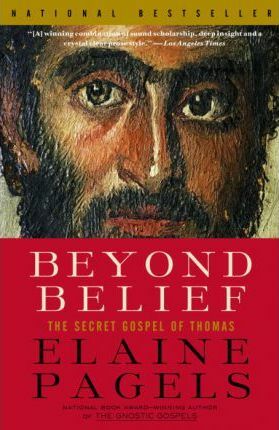 In Beyond Belief, renowned religion scholar Elaine Pagels continues her groundbreaking examination of the earliest Christian texts, arguing for an ongoing assessment of faith and a questioning of religious orthodoxy. Spurred on by personal tragedy and new scholarship from an international group of researchers, Pagels returns to her investigation of the "secret" Gospel of Thomas, and breathes new life into writings once thought heretical. As she arrives at an ever-deeper conviction in her own faith, Pagels reveals how faith allows for a diversity of interpretations, and that the "rogue" voices of Christianity encourage and sustain "the recognition of the light within us all." In Beyond Belief, renowned religion scholar Elaine Pagels continues her groundbreaking examination of the earliest Christian texts, arguing for an ongoing assessment of faith and a questioning of religious orthodoxy. Spurred on by personal tragedy and new scholarship from an international group of researchers, Pagels returns to her investigation of the "secret" Gospel of Thomas, and breathes new life into writings once thought heretical. As she arrives at an ever-deeper conviction in her own faith, Pagels reveals how faith allows for a diversity of interpretations, and that the "rogue" voices of Christianity encourage and sustain "the recognition of the light within us all." Elaine Pagels is the Harrington Spear Paine Professor of Religion at Princeton University and the author of Reading Judas, The Gnostic Gospels--winner of the National Book Critics Circle Award and the National Book Award--and the New York Times bestseller Beyond Belief. She lives in Princeton, New Jersey.